Your post is forcing me to go back and find my pictures of Ta Prohm from January, 2000. Even then, pre Lara Croft, our tour included walking on top of some of the buildings near where we came in, some of the same itineraries as later filmed for Tomb Raider. They might actually pre-date her influence. I was there in late December/early January 2000. I was going to say a similar comment to Rus, only I was there in 92. The essence of heritage is often displaced by outside cultural influence. I am glad to read that they have closed off areas from the tourists. I know they bring in revenue, but there often disrespect gets on my last nerve. Very interesting and informative post. It is something I didn’t think about as I was there this past December (2013). The crowds are increasing and it was strange to see many Chinese tourists clambering around the “tomb raider” area. I would think the majority of Chinese (many who were older) would not have any knowledge of that part of western iconography, but yet still posed. From my experience sometimes they just do without thinking why. The crowds were maddening and pushing at this temple more than any other. I was very surprised at how so many places we had access to. 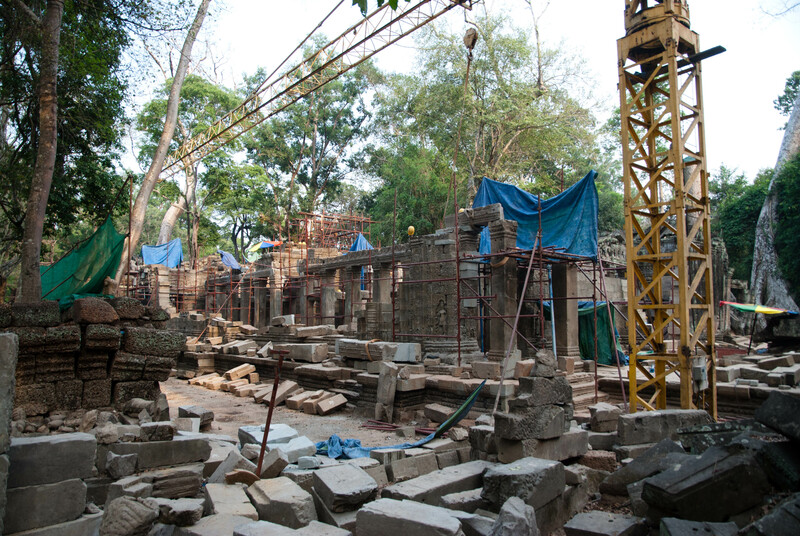 I am sure with all the reconstruction and increasing numbers of tourists that will change. Going there in a couple days, so I appreciate an honest idea of what to expect, though my first taste of those temples today was so much more interesting than any Khmer sites I’ve seen in Thailand. But you can understand why they try to capitalize on the name. No different from Koh Tapu outside of Phuket being called James Bond Island since it was filmed there and still provides familiar scenery and popular references. -p.s. Temple Run defaults you as ‘average explorer’ Guy Dangerous. From there you can buy characters like Scarlett Fox, Karma Lee, or even . . . Montana Smith. Just visited Ta Prohm today. The construction has come a long way from your photo of the crane. Couple of things Lonely Planet states that walking across the rooftops was stopped to protect tourists and the structures and secondly the adventurer in Temple Run is male. Very thought-provoking and similar to my own observations when I visited the site a few days back. it seems sometimes the boundary between physical heritage tourism and conscious tourism (you see what you want to see and act in a way prescribed by media) is becoming fainter. Great photos! Reminds me of my last trip to Angkor Wat! 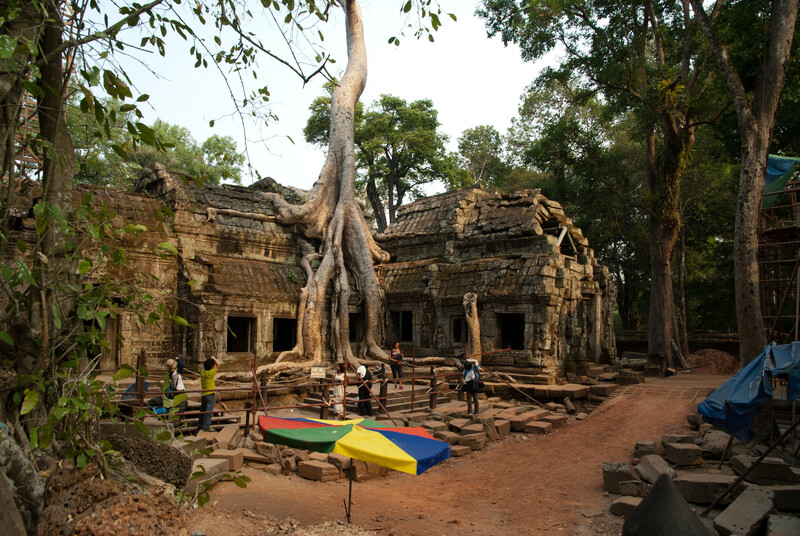 This temple of Ta Prohm at Angkor Wat itself is the proof of the ancient Khem civilization. Though it’s listed as ruin, the place still holds the cultural importance, though it has been the major centre of tourism. And is that root of the trees in the middle of temple or the branch of another trees? 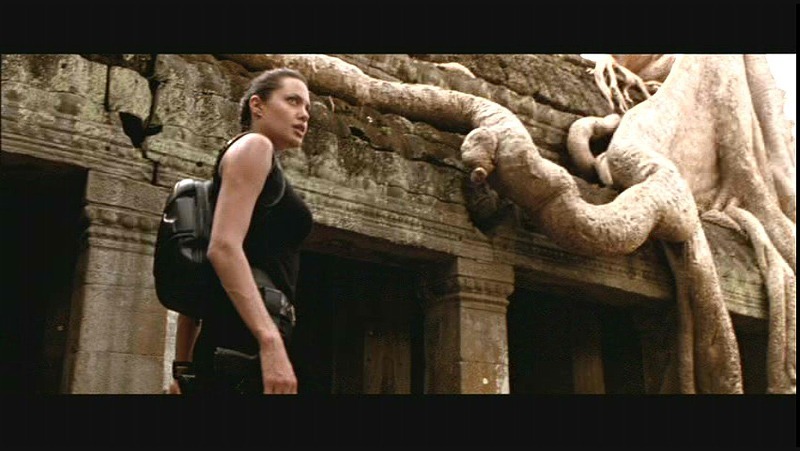 I have a great disdain for all that Indiana Jones and Lara Croft signify: superficiality, sensationalism, ignorance. I also have no use for a prideful ethnocentric mentality (anywhere in the world), which essentially is a form of self-aggrandizement by presumptive association with something falsely regarded as “glorious”. My own ramblings among the many impressive edifices of Angkor was a personal exploration, with an aim to satisfy intellectual curiosity, and for the sake of simple aesthetic pleasure and the joy of discovery.